Cedefop Head of Department for VET Systems and Institutions Loukas Zahilas and ETF’s senior specialist in EU education and training policies Georgios Zisimos opened the event. 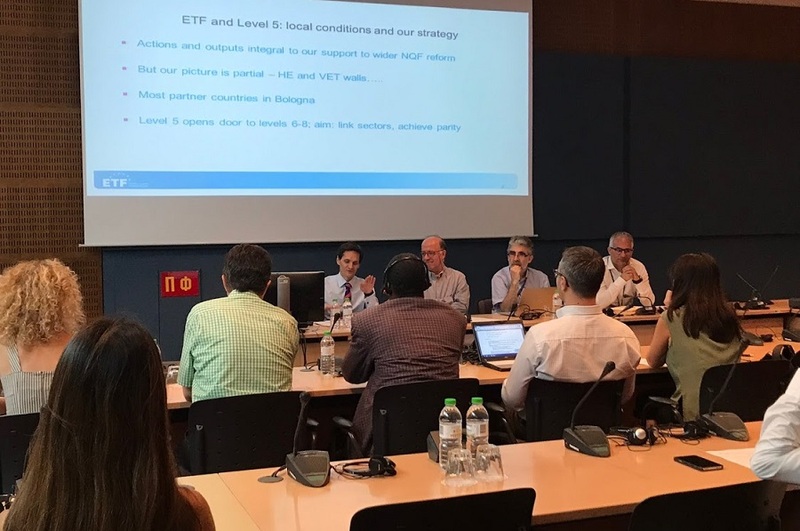 ETF’s strategic project leader on qualifications Michael Graham and VET teachers and trainers specialist Julian Stanley presented latest trends of ETF work in their areas. The presentations were an opportunity for Cedefop experts to exchange ideas and discuss future cooperation with their ETF colleagues. Cedefop and ETF work on the basis of a cooperation framework covering the period 2018-20. The two agencies have been working together for many years in thematic areas, projects and activities of common concern. Through knowledge-sharing and participation in these activities, ETF and Cedefop have increased their expertise and ensured mutually-beneficial synergies.